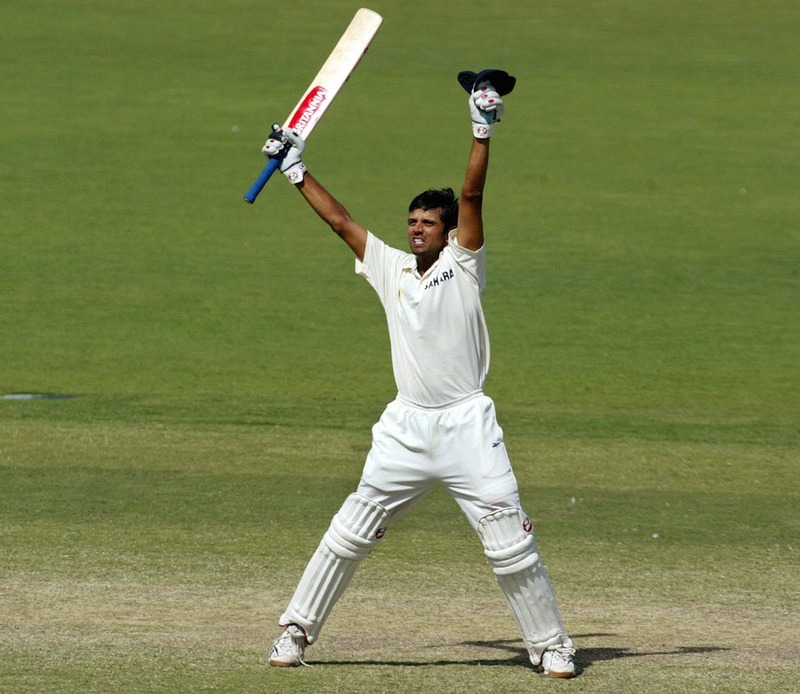 Arms aloft, Rahul Dravid celebrates victory. Instinctively, he kisses the India crest on his cap. An image which sears itself into the collective consciousness of a billion Indians. Sometimes the good guys finish first. Brick by brick, a legend is made. ← Previous Previous post: India v Australia : Fights, Sledges, Tantrums and Bad Behaviour ! For all his serious approach to game and life, Rahul Dravid was known to be a pretty chilled out guy off the field. Also he loved his celebrations. May be not on scoring centuries or at the end of a good day’s play (because those are job half done etc etc. ), but his celebrations on victory can only be compared to someone like Dada who knew how to celebrate and sulk with equal temerity. Watch Dravid, when Dighe and Bhajji scored the winning runs in the 3rd test in Chennai 2001 against Aus and with it winning a historic series. Celebrations of Dada and Rahul bhai are ones to cherish and capture. Just Like Adelaide. Ofcourse as time piled it’s burden on both of them, the celebrations became more sober like the Trentbridge win where they saw us through for a magical victory but the celebrations were comparatively muted. Uff !!! Best Scenes ever !. Dighe was quite amazing ! The ever-cautious Bhajji. He couldn’t believe we had won. There are a million things I can say about Zaheer, Bhajji and Yuvi on their consistency but they were true match winners. Yup, we’ll be doing a post on the Class of 2011 soon!